Ham Photos is a growing archive of photos of Ham (part of Richmond upon Thames in south-west London) where I have lived since 1996. It delights in the unusual, the unexpected and the unnoticed. 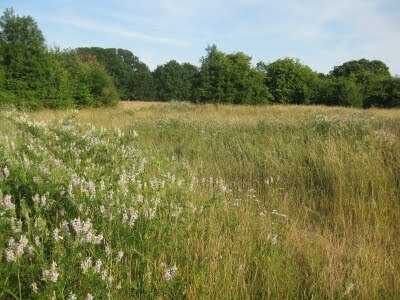 Ham Lands is a local nature reserve as well as being a beautiful area for walking, cycling, riding and relaxing. The area has been neglected for some years and now requires sensitive management. A new group, the “Friends of Ham Lands" (FoHL) is being formed to help liaise with all interested parties and users of the Lands. You will have a chance to meet with representatives from Richmond Borough Council, Surrey County Council and Thames Young Mariners. Please note that FoHL is now part of Ham United Group (HUG) at http://www.hamunitedgroup.org.uk. All comments are welcome. Comments are moderated only to keep out the spammers and all valid comments are published, even if I disagree with them. Ham is bounded by the Thames to the south, west and north, and by Richmond Park to the east. This is my blog so my definition of Ham counts. I include in this an area that some people think is in Petersham. They are wrong. You can reuse any of the photographs for personal purposes but I would appreciate a mention if you use them in a publication or on a website. I try to respect privacy by taking the photographs from public places and by not including people in the pictures but if you object to any of them then please contact me. I also do requests so if you want to see something in Ham featured here then let me know. You can find out how to contact me via my profile above.